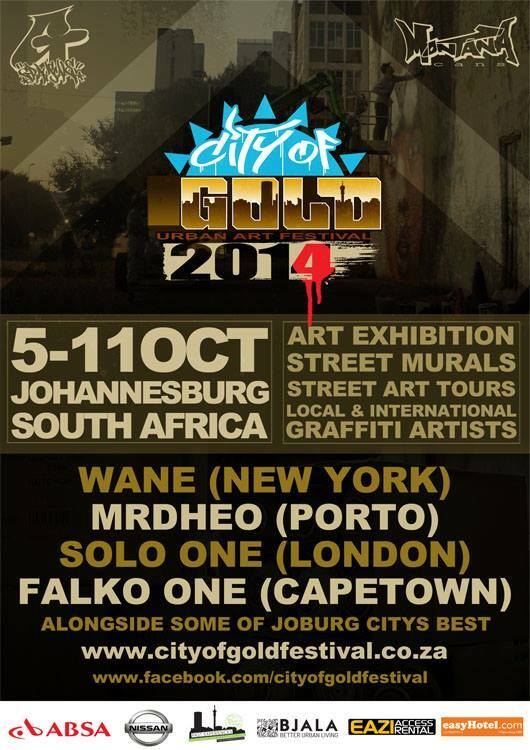 THE DEFINITIVE SOUTH AFRICAN GRAFFITI & STREET ART WEBSITE. 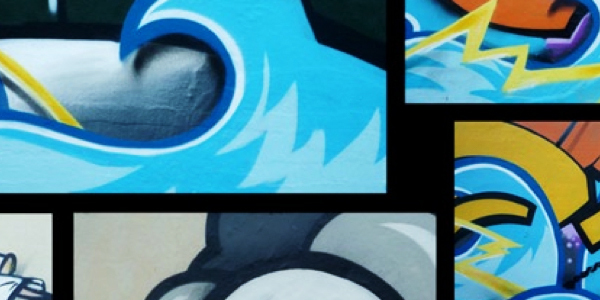 This blog features news, pictures and event info to keep you updated with what is happening in the world of South African graffiti and street art. Come see art like you’ve never seen art. You’ve probably never seen art. You probably won’t know it’s art. This Shepard Fairey poster isn’t stolen. You don’t know these artists. More artists won’t be announced soon. It’s not art. It’s not even real. It’s doesn’t exist. You don’t exist. One-night-only exhibition by Kevin Love. “Uyazin Cousin”, an exhibition by Dreadr (MSE / Xmen). 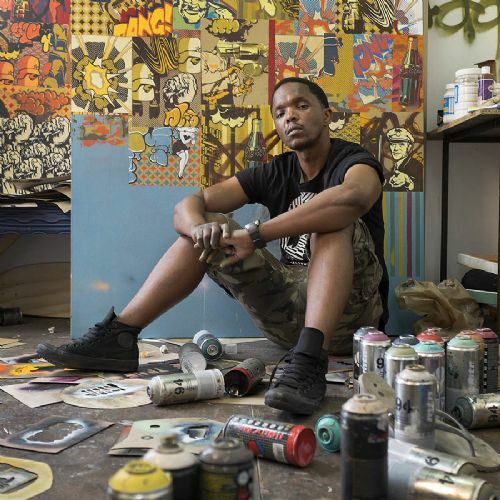 Popularly known for its art scene, the small, tourist town of Clarens in the Free State has recently born witness to a new creative wonder – so-called urban art. An exhibition against everything. Brought to you by The Bogus Boys - a parody newspaper poster collective. 34FineArt is pleased to announce a new group exhibition featuring works by several well known local and international artists, who have in various ways appropriated this iconic image of popular culture. “You Have My Word” is the first solo exhibition by multi-disciplinary artist, Chris Auret a.k.a AuReT. 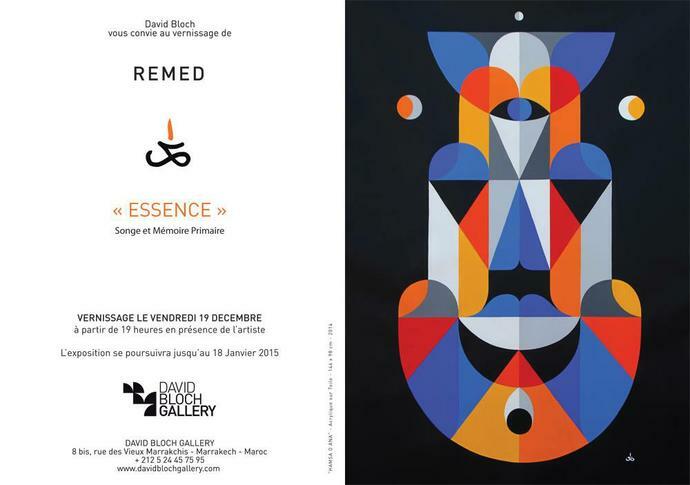 We missed the opening, but the show runs until November 17th. 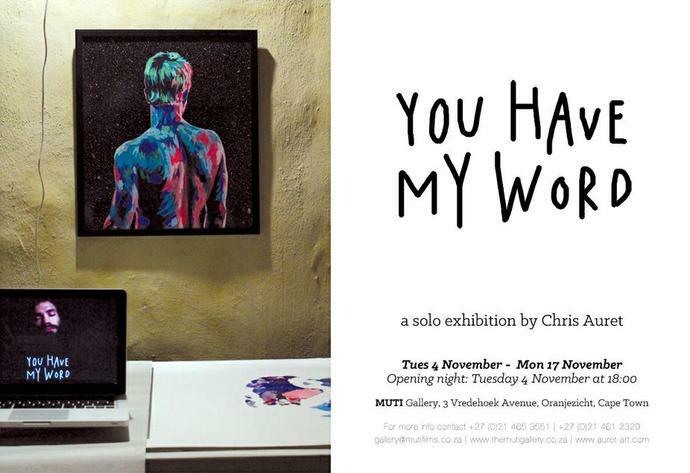 Be sure to check out this very personal show at MUTI Gallery, 3 Vredehoek Ave, Oranjezicht, Cape Town. 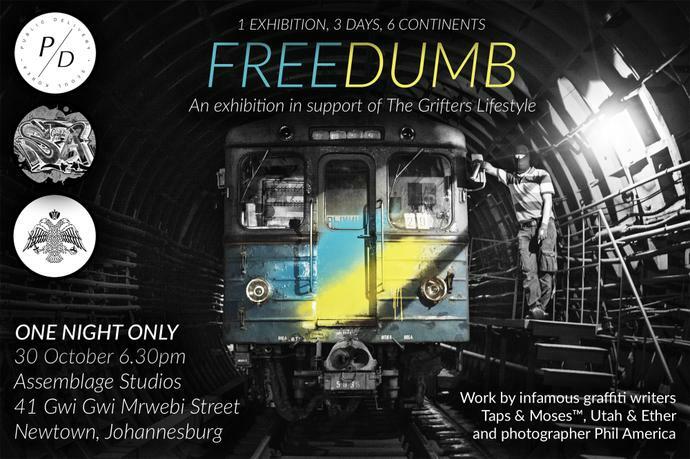 Our first exhibition, Freedumb, took place for one-night-only at Assemblage Studios in Newtown, Johannesburg last week Thursday, October 30th. 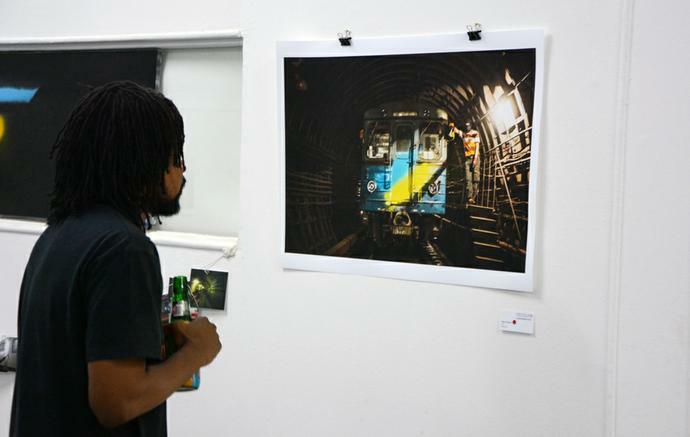 The exhibition was curated by Korean-based art organisation, Public Delivery and features a behind-the-scenes look at the processes and lifestyles of graffiti writers, mainly within Europe’s underground subway system. 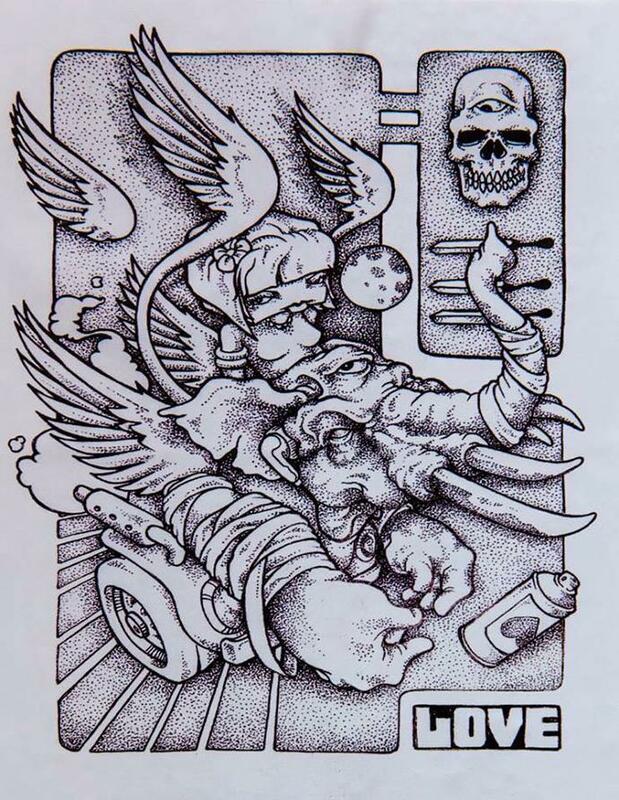 Public Delivery in association with Graffiti South Africa presentFREEDUMB. 1 exhibition, 3 days, 6 continents. 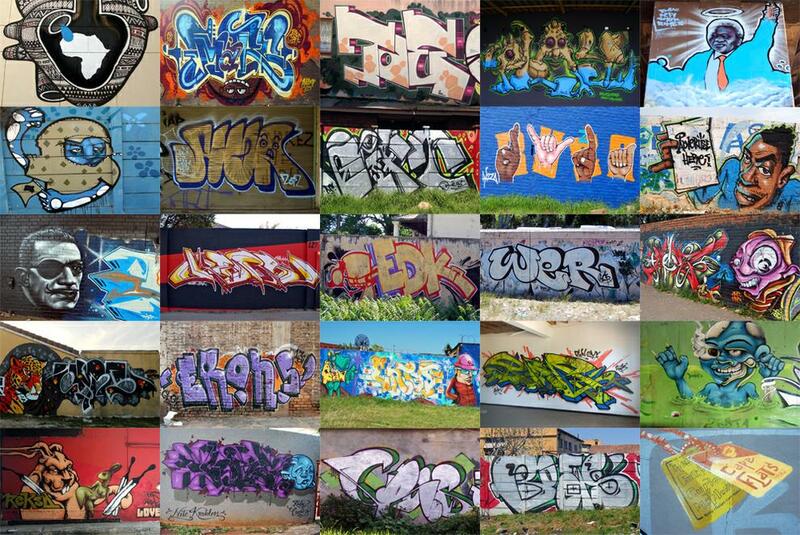 An insider view of the underground graffiti culture in Europe. 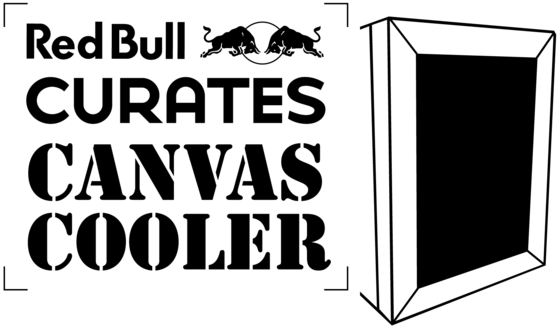 Featuring photographic work by Phil America and internationally acclaimed graffiti writers Taps & Moses™ and UTAH & ETHER. 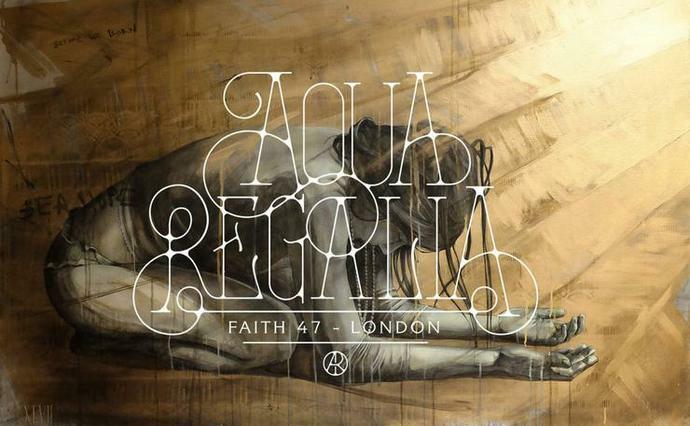 Faith47‘s exploration, Aqua Regalia, begins in London in 2014 travels to Rome in 2015, and thereafter to the USA in 2016. Opening tomorrow night in Durban at KZNSA Gallery, 18h00. Our movement within a city, the way we interact with its streetscape, its surfaces, its asperities and ruptures, is a reading. As we move we actualise a path – a path that is individual, and yet constrained by the possibilities offered. It is much as if we move elliptically through a page of text, accepting some parts, reflecting on or rejecting others. Cognitively, the memories and associations of our lives that subtend the places we pass through, form a network of meaning and reference. Our movement gives this a chronology, the same chronology that is used in narrative - linking through time events that should perhaps find their reason in affect, or gender, or necessity, more than a serial ordering. Finally the coherence produced through reference, ellipsis, conjunction is that of the text – a text whose ultimate meaning lies in the hands of the reader. A text that cannot be neutral but that is shot through with questions of power and access. Power, when conceived of as constitutive of the public sphere, as inherent in the categorisations and legalities which influence our reading, allows us to understand how a city is also a textual economy. Street Art is a fundamental, transgressive, part of this economy. Its transgression is both physical and visual. Physically it appropriates, dislodges, superimposes and subverts. Visually it contravenes genres in a writing that opens divergent meanings. Street Art doesn’t speak TO its immediate environment, it doesn’t speak ABOUT its immediate environment. It JOINS the environment, attaching itself and all of its ego and contradictions and politics, forcing itself to be seen, experienced, witnessed, and ultimately reacted with. It claims its space unashamedly, forcing us to question its existence, to contest its existence, and when we cannot provide any adequate rationalization for why it shouldn’t exist, we must eventually accept it. It forces us to come to terms with our rapidly diminishing space for free expression in the constant commodification of culture and its continued containment in easy-to-ignore categories of constraint: fashion, entertainment, exhibition, publication. By forcing us deeper into our environment, by forcing us to connect graphically with the street, to position ourselves for, or against, or with it, Street Art brings us back into sharp focus as active participants in the lived presence of our public spaces. We begin to re-style our streets, to customize our concrete confines. 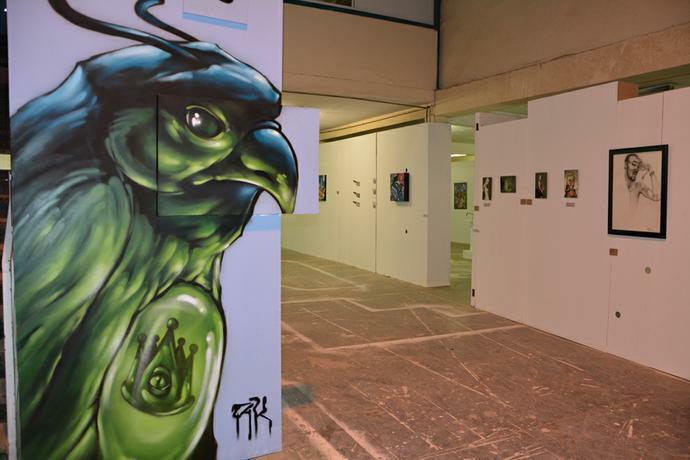 The challenge of bringing Street Art to a gallery is the challenge of translating subversion of style, transgression of place and divergence of meaning within a frame that reduces the possibilities of the media – surface texture, lighting, movement, context – whilst also inhibiting the movement of the gaze, the path through the city that was also a reading of Street and Art. Transgression and movement must therefore be found within the works that are displayed. The two central pieces of this exhibition illustrate this in different ways. The white on white graffiti by Ewok subverts a static reading. Sheen, relief, contour, form, are only discernible as one changes perspective and distance – bringing movement back into the space of the gallery. It is a reading that also requires engagement and an implication by the viewer, returning this work to the space of the street’s divergent discourses. The final composition involving several street artists - on the floor of the gallery - requires a reading path across its surface. To read one must actualise a path, a vector, a direction over the composition. To create this composition the artists, the writers, were also asked to blindfold themselves and to let their pen traverse paper, apprehending the space of the paper in a movement that could only feel, understand the distances and the orientation – much as we cross the city. The artists, the writers, of this exhibition is already developing a project with the city with regards to understanding Street Art and how a re-writing of the city is also a way of empowering and developing. Concept note by William Kelleher, socio-linguist and educator. 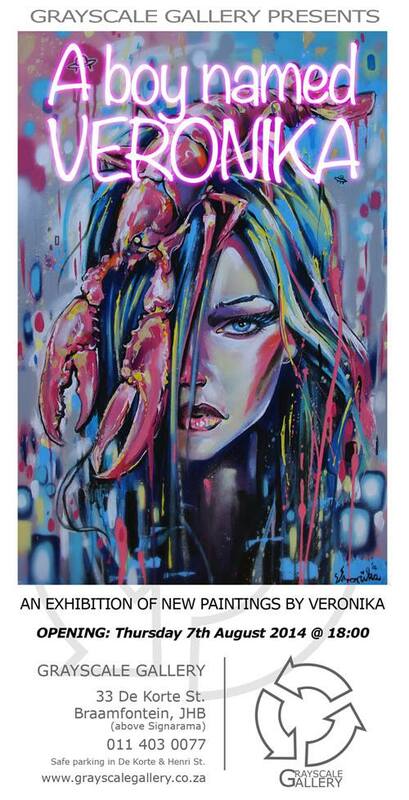 On the anniversary of Grayscale Gallery’s fourth year we are proud to present our 2nd solo exhibition of the secretive and mysterious Johannesburg artist known only as Veronika. Working in contrasting environments Veronika’s pieces can be spotted in busy urban streets and stumbled upon whilst out in tranquil nature. Veronika’s latest body of studio work is inspired by his interest in graffiti, fashion, horses, sea creatures and UFO’s. All the pieces show a touch of a fine art hand and at the same time the flare and freshness of the street culture scene. 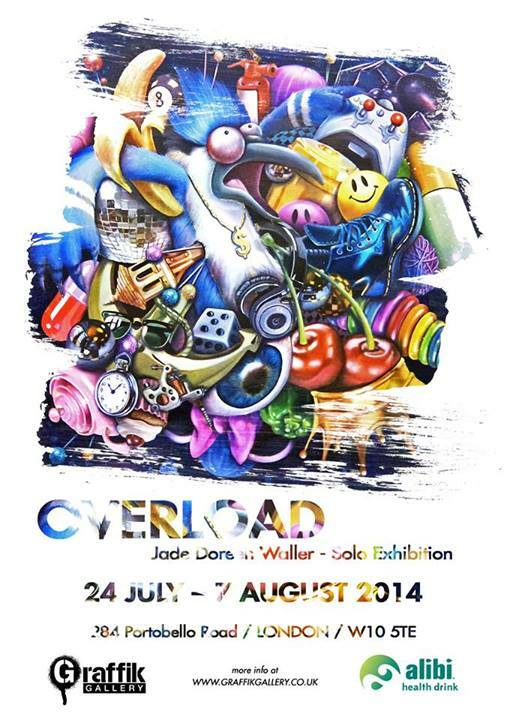 Please join us for a truly original art experience at Grayscale Gallery on the 7th of August 2014 at 6pm. 33 De Korte Street, Braamfontein, 2nd floor, above Signarama. Safe parking in De Korte and Henri Streets. Gas heaters to keep you warm. Showcasing new paintings, drawings, mixed media collage, silkscreen prints and zines by Love & Hate (Black Koki & Ello) and Jean De Wet All done in collaboration over the past 3 years in projects ‘Time.time.time’ and ‘Windows 1’. 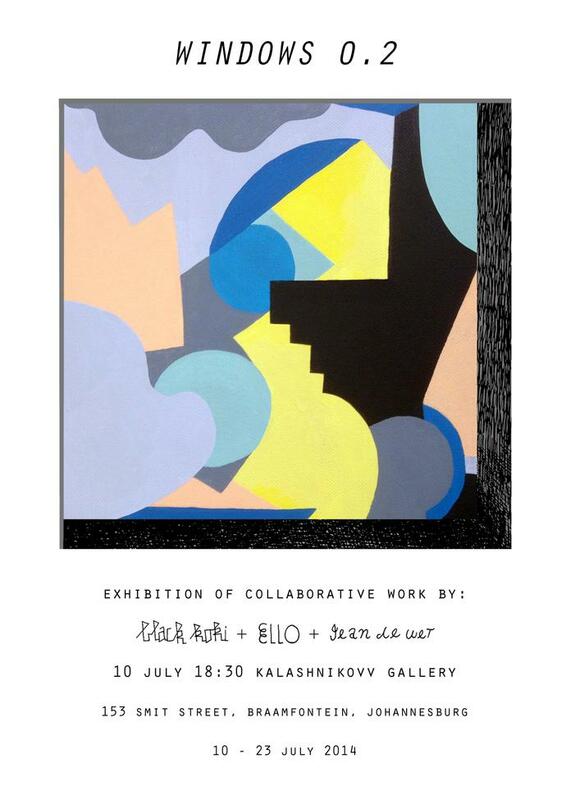 Continuing where they left off from last years ‘Mixed Emotions’ group show at the Kalashnikovv, Love and Hate return with a more focused approach on their own rapidly evolving practice. 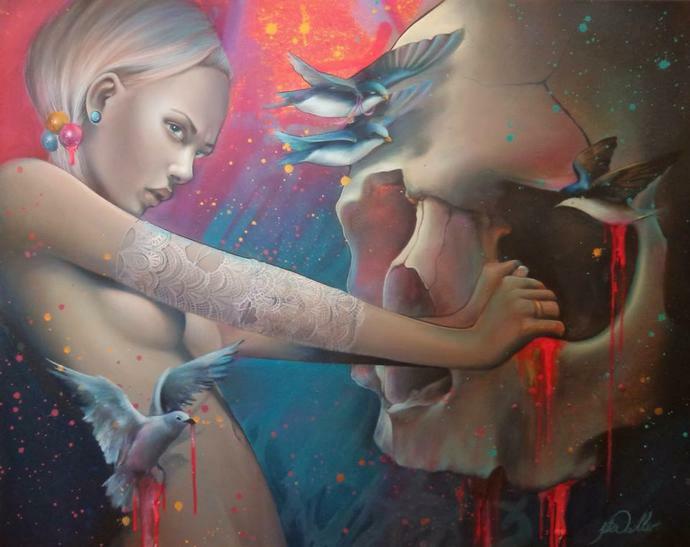 Continuing with blurring of lines between fine art, street art and illustration. Definitely not one to be missed! Drinks kindly sponsored by Grolsch. 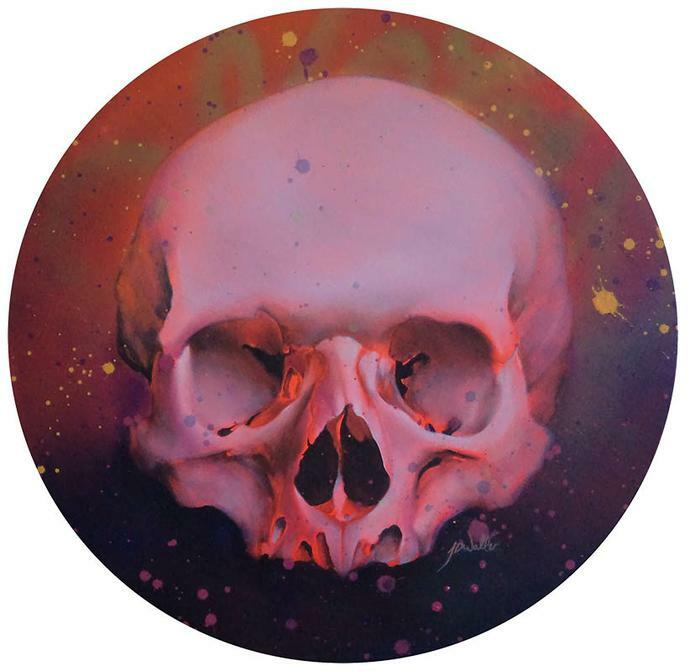 Jade Doreen Waller is a skilled, Cape Town based visual artist who uses oil and spray paint to create her paintings. With an affinity for skulls, Waller’s work has evolved over the years into highly-detailed artworks, blending dark moods and dream-like images into fascinating pieces. 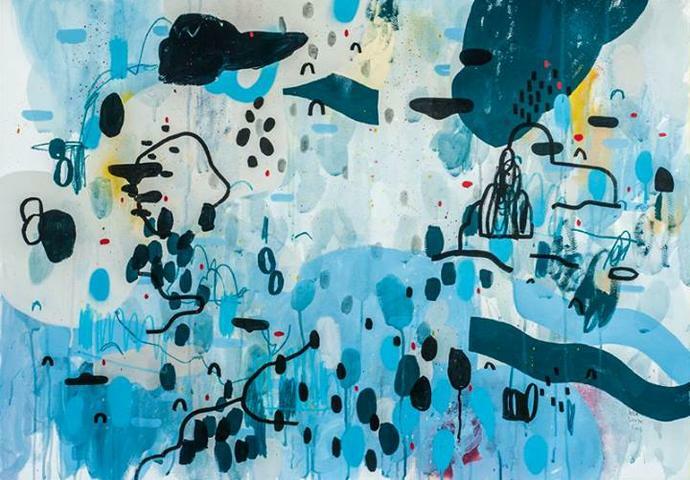 For her new body of work, she engages with her canvas like a visual thought bubble, resulting in an enchanting collage with an explosion of colour. We spoke to her about her creative process, graffiti influence, and upcoming solo exhibition in London. 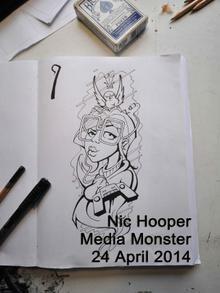 I am an artist based in Cape Town, practicing within the interdisciplinary visual art division. I keep within the urban contemporary art scene where painting and sculpture are my chosen mediums. I exhibit regularly, aiming to continue the growth of my artist identity. I work on many different ongoing projects which branch not only into the “art world”, but also the fashion industry, public/community work (painting & installation), and illustration. My work has evolved quite dramatically over the past few years so it is difficult to describe it all in a nutshell. From about 2013, my work took a major turn as I became more inspired by our mix of urban visual culture. My most recent work (which will be shown in London in July) is probably the easiest to describe. This new body of work, entitled Overload, describes excessiveness and randomness. The process has become immediate rather than pre-meditated and is symptomatic of an “information overload” pertaining to the nature of how we currently exist, as well as my own perception of my surroundings, and how I process this “overload” in my own mind. These artworks have sort of become self-portraits of my mind, and of the way I think and perceive. These paintings appear as clusters made up of totally random objects/ideas capturing my private cerebral conversations, offering a crystal clear reflection of the transient and accumulative symbols of our urban existence. Explain your process when it comes to painting a new piece. Imagine sitting for a moment trying to pinpoint exactly what it is you are thinking about. For me, there are always hundreds of images and thoughts darting around. Instead of pre-planning a painting, I will sit in front of it and literally begin constructing it by putting down the very image I just thought of. I continue to construct the painting in this way until the canvas is full. I create the works almost as fast as I think of the images/ideas, allowing me to capture a particular thought process. I do not consider the ‘meaning’ of a particular image or whether it makes sense to be there. So, by the time I have completed a painting, I have literally included what was happening in my own mind at that time. I have become able to paint extremely fast in that I can construct/document a particular thought process, however long or short, translating these thoughts and ideas into something visual. You often feature elements of graffiti in your work. 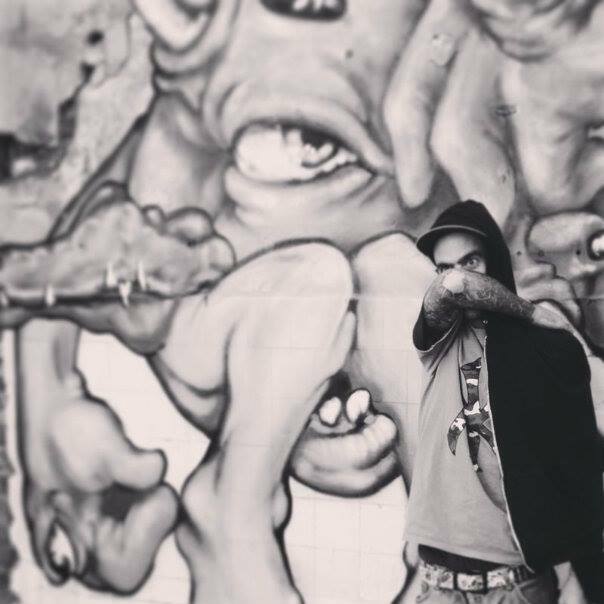 What role has graffiti art played in your life and artistic approach? Graffiti has played a major role in my life. 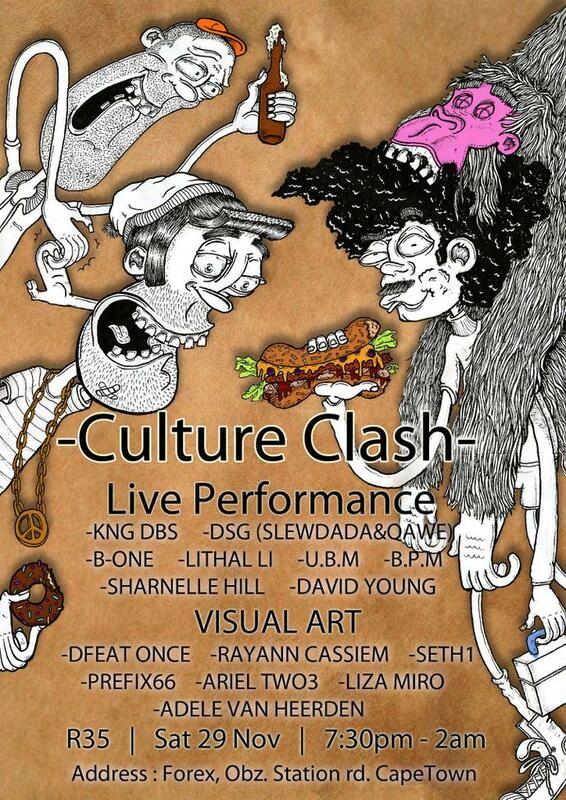 Not from the point where I paint graffiti, but rather the culture it comes from. I admire the process and its relevance to current societies around the world. Other than its visual appeal, which I find inspiring, I am drawn to how it connects people and has its own unique form or method of delivering freedom of speech. Have you ever tried to paint graffiti on the street? I have painted a few times, but not recently. I gravitated more towards my fine art work which has become a full time career. I try to include hints or elements of graffiti in my paintings. Does your work reflect your personality? Do you have a meaning behind your work? Do you try to bring out anything in your work? Yes, there is a lot of meaning behind my work – especially my most recent work. There is a lot to explain though. Perhaps I answered this question briefly in my previous answers. Tell me more about your upcoming solo show in London. I have created an entirely new body of work. It is very different from what I have done before, and is a ‘style’ that I’m going to continue with. 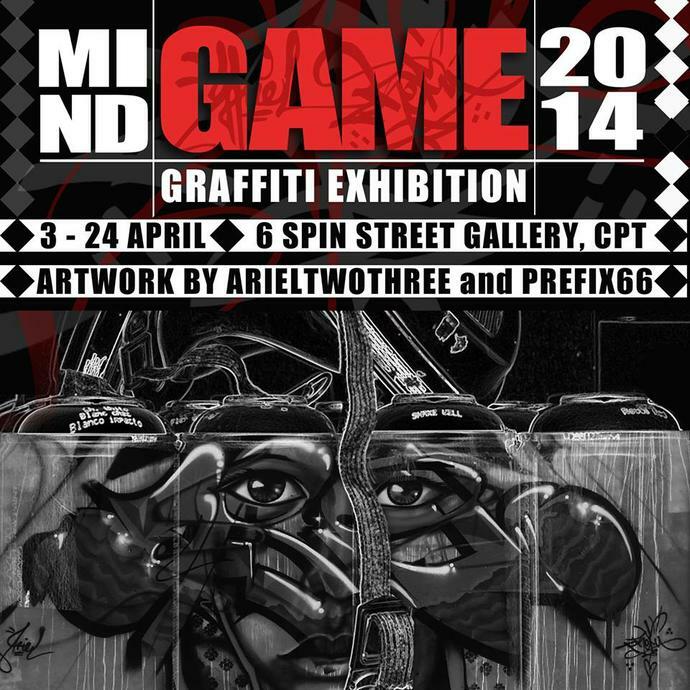 I was introduced to Graffik Gallery through 34 Fine Art Gallery, where I was invited to do this solo exhibition. We all felt that this particular body of work has become my strongest work and that London would be the perfect place to introduce it. Many things. To name a few; I am interested in psychology, tattooing, and collecting sneakers. I am interested in special effects as I used to work as a sculptor and prosthetic artist for the movie industry. Also, teaching art, although I don’t work as a lecturer anymore. The list could go on. Do you have any other exciting plans for the rest of this year? I do. I have several exciting projects coming up for when I return from London, as well as exhibitions lined up, including The Cape Town Art Fair and a solo show in Cape Town for next year (2015). 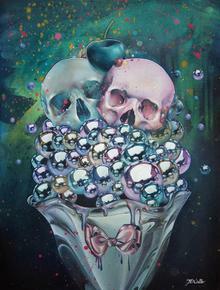 More info about her upcoming solo exhibition in London HERE. 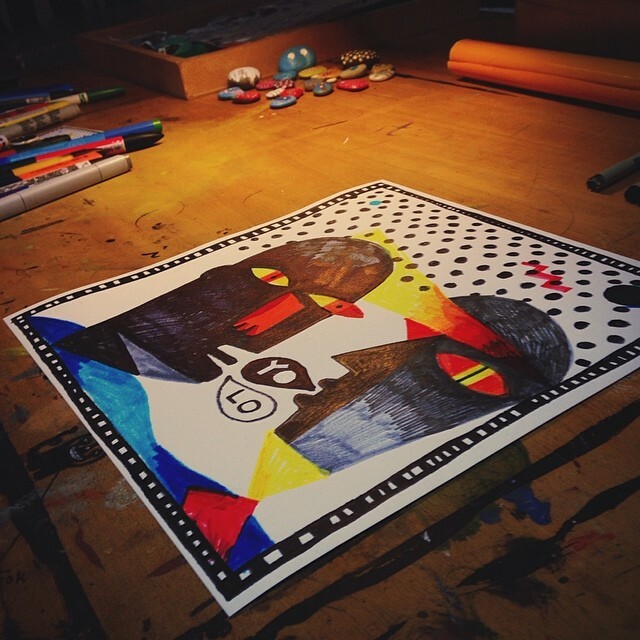 Jade Doreen Waller, an innovative young artist from Cape Town, is creating a stir in the interdisciplinary visual art industry with her unique approach to Urban Contemporary art. 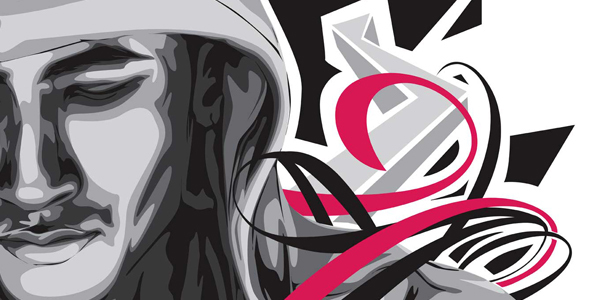 Waller has just been invited for a solo exhibition at cutting edge Urban gallery, Graffik, in Notting Hill, London. 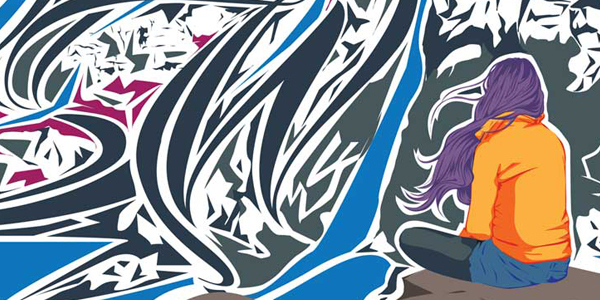 This will be her first international solo exhibition. 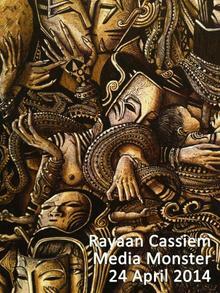 Her work was first shown in a group exhibition at 34 Fine Art Gallery in 2010 and created quite a buzz. For the upcoming exhibition – Overload - the artist created an entire new body of work that shows off her creativity and skill. Waller’s concepts are deeply rooted in Urban Contemporary subculture, evident in the multiple layers of images in her work. The works are symptomatic of an information overload. Her paintings present bundles of tightly packed regurgitated symbols, which purge and scream the plethora of scattered thoughts that dart around Waller’s brain during an engagement with her canvas. Her allegories, a glimpse into Waller’s world, are superbly realised with meticulous detail, reminiscent of Dutch and Flemish styles, making her work inescapably alluring. 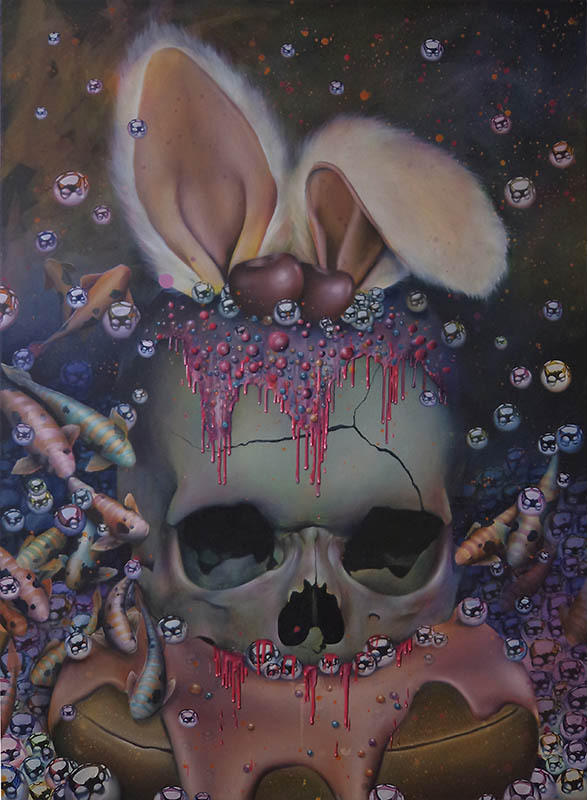 The scenes of Waller’s works show a bizarre juxtaposition of objects in unexpected arrangements; their realist execution with their sugared-up yet metallic use of colour all work to create artworks that speak to the discourse of Pop Surrealism, in which young artists use traditional methods in contemporary ways. Whilst being mesmerized by the sumptuousness of her paintwork, the onlooker is met with image clusters of a constipated consumerist culture about to explode. 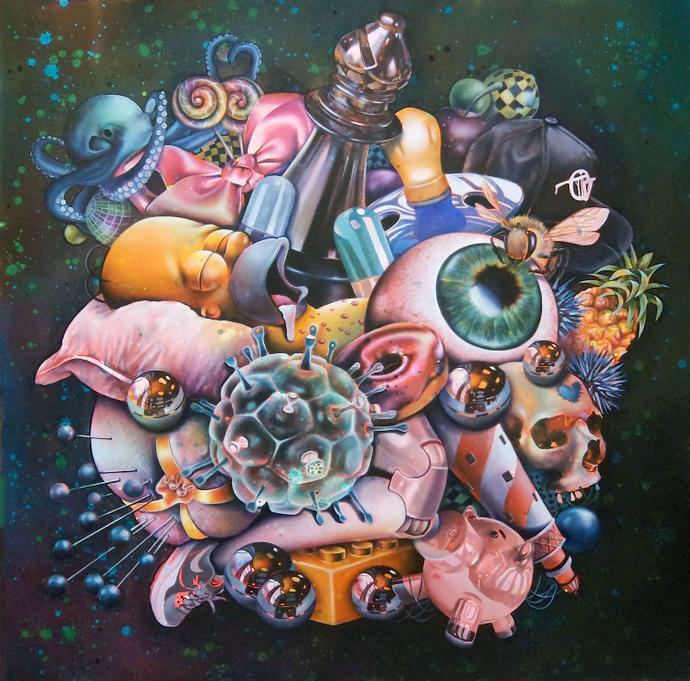 Trapped inside Waller’s brain, by way of her paintings, one feels assaulted by the densely packed meteorites of urban street culture. Like a virus inhabiting her mind, it’s easy to feel contaminated by her corrupt organisms. Within the infected galaxies of her daydreams, Waller’s conglomerates of toys, pills, food, body parts, cartoon icons, insects, bric-a-brac, games and accessories become suspended between the beginning and the end of creation. 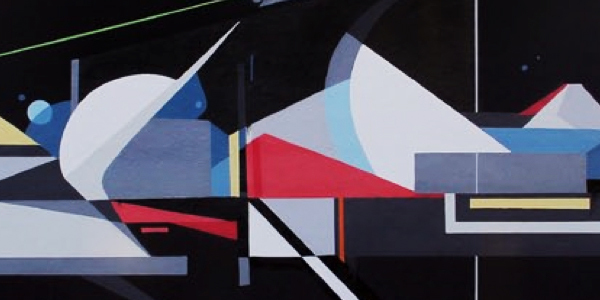 While her paintings capture a private cerebral conversation, they offer a crystal clear reflection of the transient and accumulative symbols of our urban existence. Waller’s ability to innovatively manipulate and combine contrasting images offers a lucid insight into how she interprets and perceives her surrounding reality. The exhibition opens on 24 July and runs until 7 August. 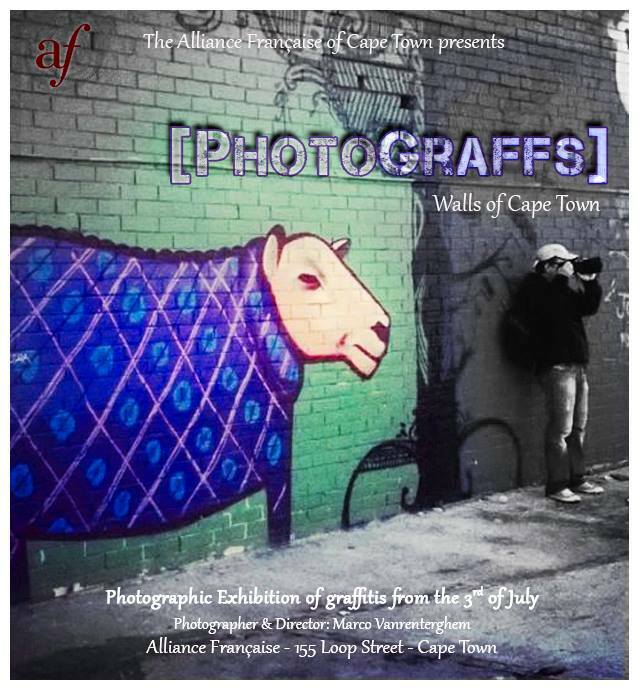 An exhibition of Cape Town graffiti by french photographer, Marco Vanrenterghem. An exclusively paper-based exhibition, which celebrates the diversity and richness of paper as artistic medium. Featuring works by Katrin Coetzer, Paul Senyol, Kirsten Sims, Andrzej Urbanski, Gabrielle Raaff & Berry Meyer. 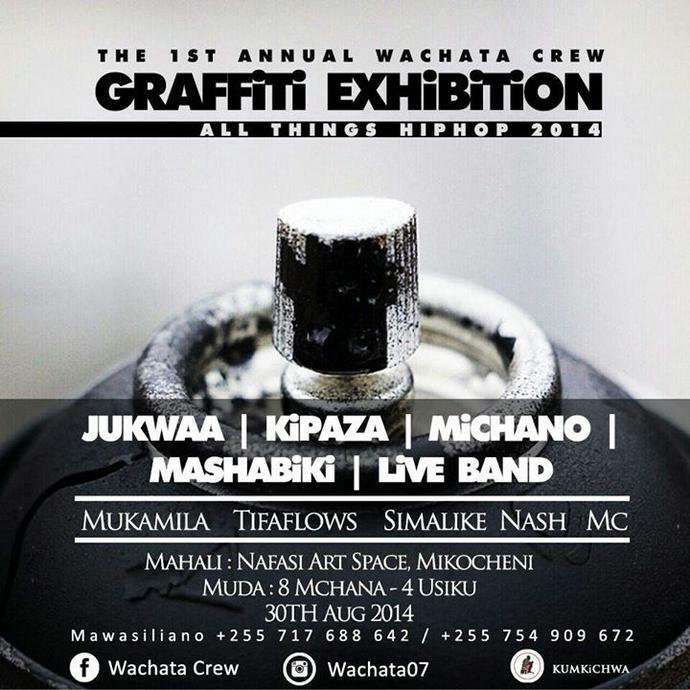 A graffiti and street art exhibition taking place this Thursday, followed by the Montana ‘Just Writing My Name’ graffiti jam over the weekend. 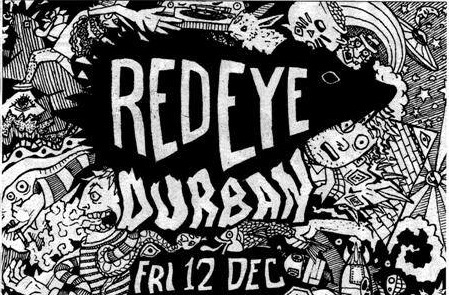 What if this City envisions a renewed sense of artistic community in Durban. This merging of creative platforms aims to broaden influences and showcase diversity and artistic approach, and in turn build a community that uses the arts as a tool for inspiration. The inaugural What if this City event will feature live music, art, fashion, dance and more. What started with a simple online conversation has become the driving force behind an exhibition that responds to social media and the effects it has on our identity and choice. The exhibition explores the idea of creating a mask that is socially acceptable. Through this we are able to present our ultimate lifestyle or perhaps mask the ones we’re trying to avoid. Both artists agreed to the exhibition before they met, but were unaware how similar their backgrounds and interests are. 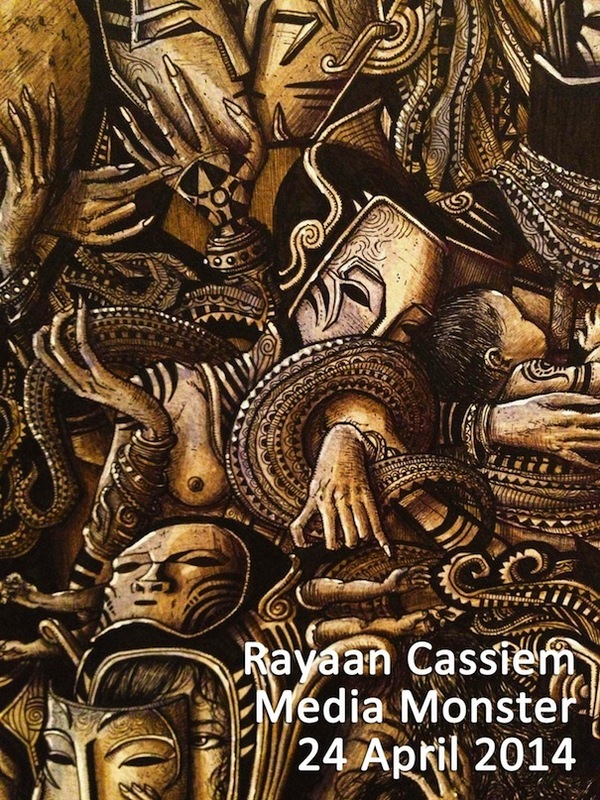 Rayaan and Nic have been largely influenced by graphic design, comic books, animation, video games as well as fine art, but are also passionate about graffiti and street art. 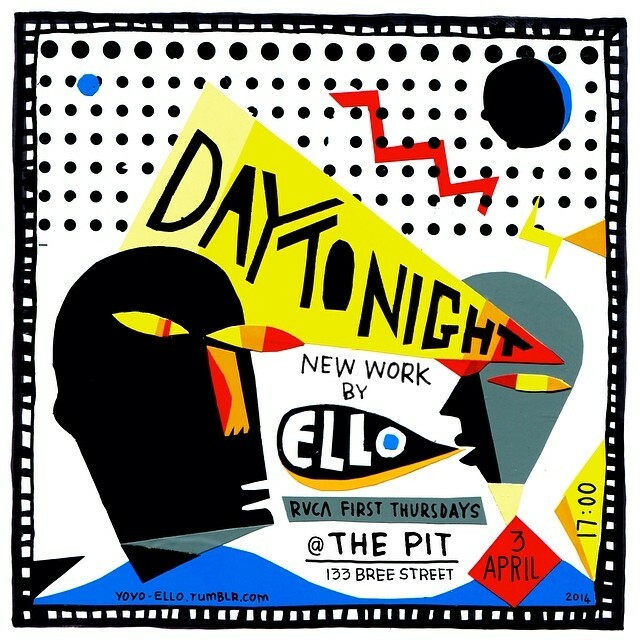 “DAY TO NIGHT” || NEW WORK BY ELLO from The Pit on Vimeo. 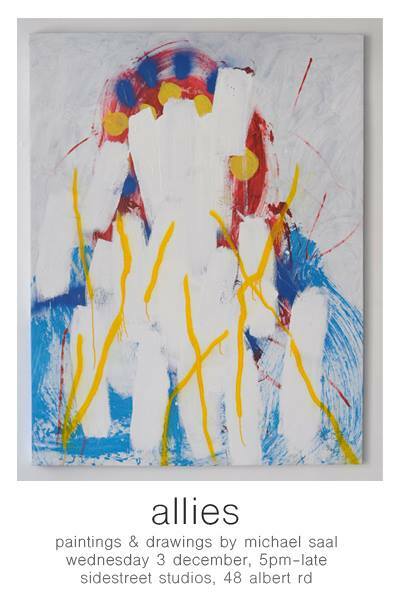 Khaya Witbooi’s second solo exhibition opens at the Worldart gallery on 3 April 2014. This top 40 finalist for the SPI National Portrait Awards 2013 explores the socio-political reality of democracy in South Africa. 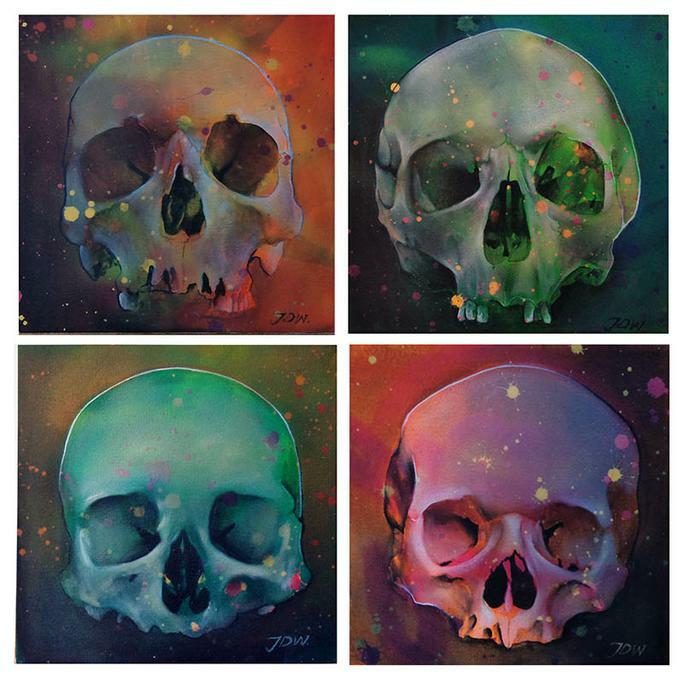 His visual language is drawn from city walls and urban underground culture and he uses stencil techniques and oil painting to create his urban style paintings. Titled ‘My people, let Pharaoh go’, this exhibition asks why people are faithful to an institution that does not seem to serve them when it is clear that it is just another system of oppression. “It’s like playing a defence game. South Africa is not moving forward at all. What does it mean especially going into an election? If we buy into the belief that things are okay, we aren’t getting any closer to a solution,” says Witbooi. 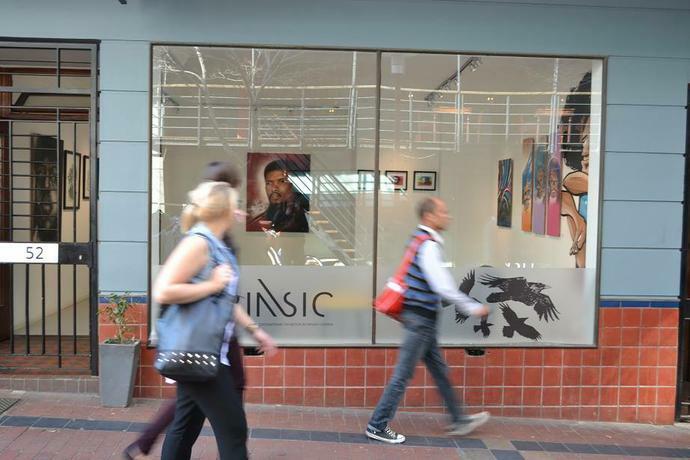 Worldart is located at 54 Church Street, Cape Town. 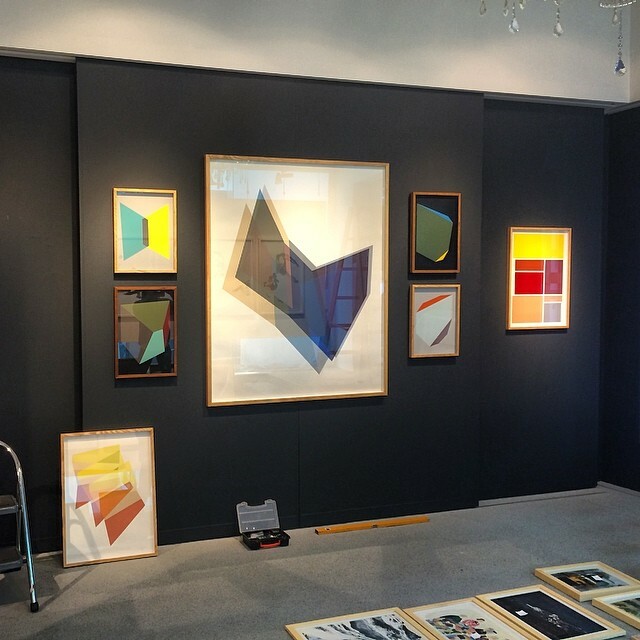 The exhibition closes on 30 April 2014. 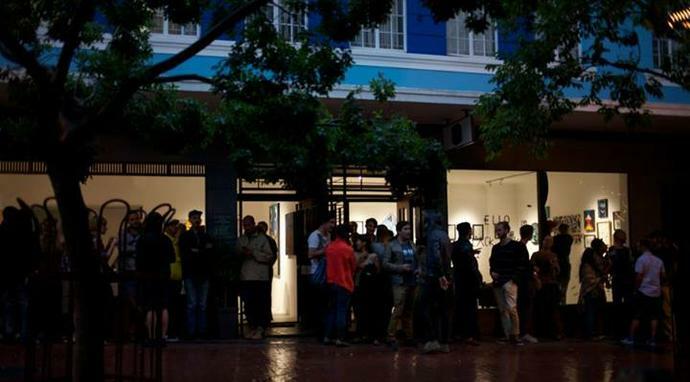 The Black Box is an exciting art exhibition and project space in Cape Town for emerging artists. The gallery opened its doors at the end of 2012 and is run by Charl Bezuidenhout, who also runs the Worldart Gallery next door. 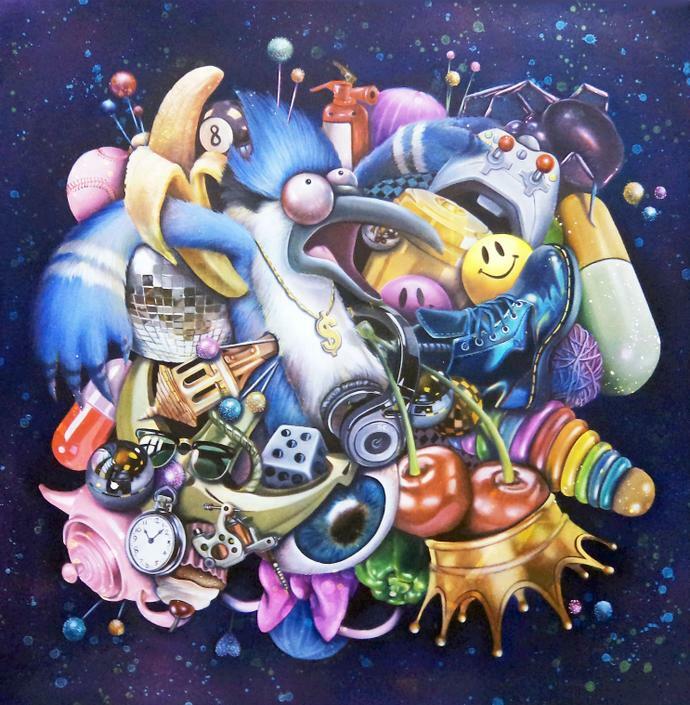 Great street art and illustration exhibitions of the past include Love & Hate Studio’s ‘Future Positive’ & ‘Time Through Space’, as well as Grant Jurius and Rayaan Cassiem‘s solo exhibitions. The Black Box is a space where I host exhibitions that are about more than just meeting the bottom line – it is an art lab. It is funded by Worldart, a business I started ten years ago, and I am quite proud of having created a channel that allows this level of unadulterated expression. With no government funding, little or no funding from institutions like the Lottery Board, and bigger corporate entities increasingly cutting down on funding for the arts, we need creative ways to keep non-commercial galleries alive. The Black Box is my go at it. Of course commercial galleries are important, but we need experimental galleries to ensure balance. What made you want to open an art gallery? I studied law, travelled wide, and did many other things before I found myself doing what I do today. With the benefit of hindsight, I can safely say that I gravitated towards the things that I value and love. It is important to manage your life in such a way that it keeps that door open. 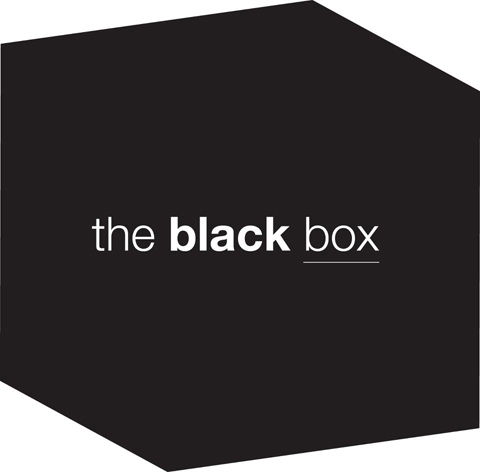 Where does the name ‘The Black Box’ come from or what does it mean? It is relevant on two levels: It refers to a device used on airplanes that record the pilots’ conversations and is built in such a way that it is indestructible. This device contains clues to the truth of certain situations. It also serves as the opposite of the “white cube”, a concept that has become synonymous with commercial galleries. What kind of art do you showcase? 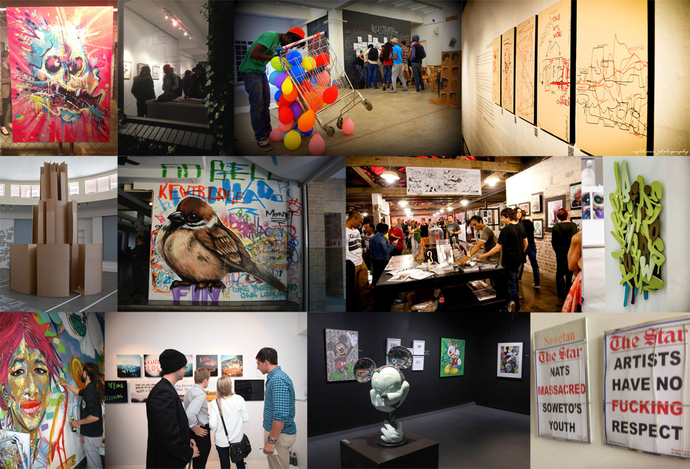 It can be anything, from street art to fine art to installations – absolutely anything. As long as I am intrigued or interested, and am convinced of its artistic integrity. After hosting a few street art and graffiti related exhibits, what do you think about graffiti stepping out of the streets and into a white wall gallery? Street art in galleries will never replace or constrain street art in the streets. It is art and art galleries show art. 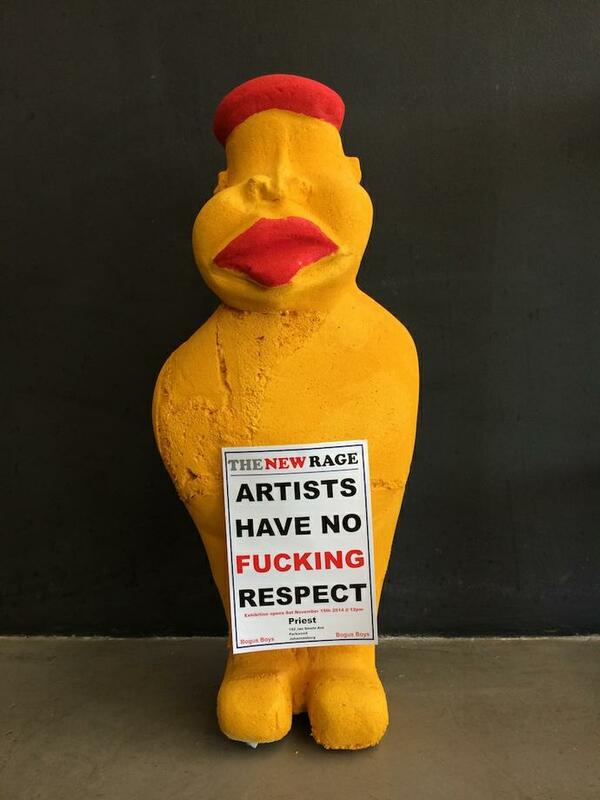 What do you think about the current state of art in South Africa? It is healthy. It always has been and always will be. As long as people have something to say, they will find ways to say it, and this is why it is always exciting. Anything else planned for the rest of the year? Or anything that you would like to share with our readers? 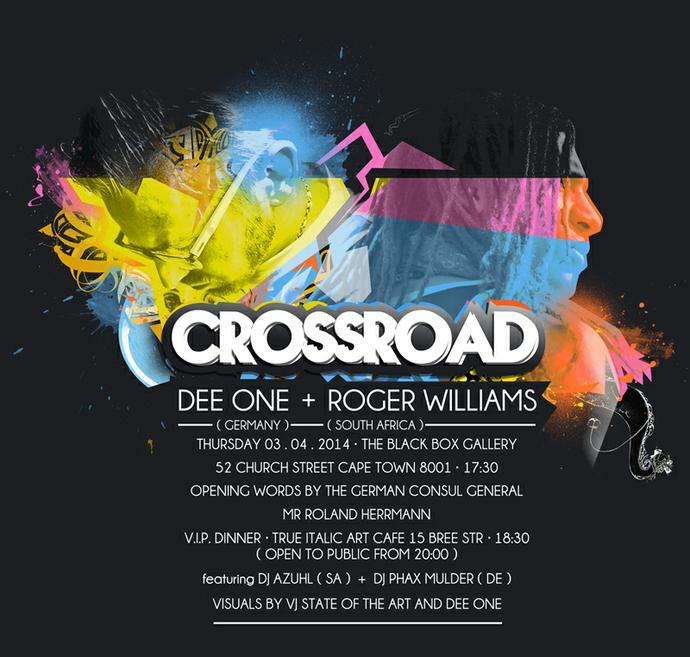 I am excited by so many things: Our next exhibition, opening this week, is titled Crossroad – a collaboration between South African artist Roger Williams and German artist Dee One. A show with Love & Hate in May, and Beat Banksy in September. I’m also opening a new gallery in Munich next month, plus Khaya Witbooi and Kilmany-Jo Liversage’s solo exhibitions coming up at Worldart. It is insane because this list can go on forever. 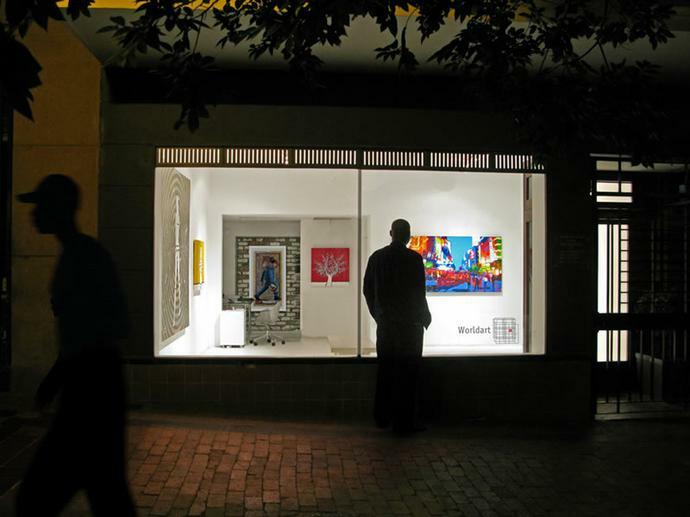 The gallery is located at 52 Church Street, Cape Town. 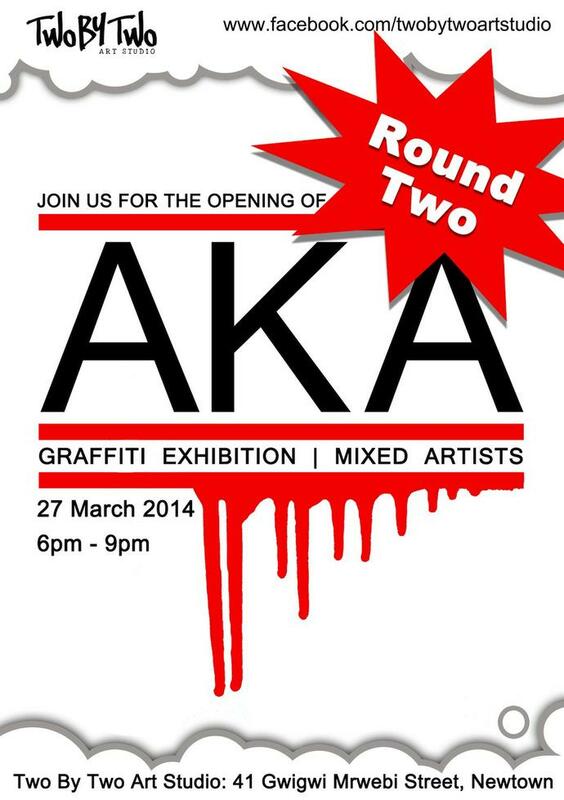 Following the success of the 2013 graffiti and street art group show, Two By Two Art Studio presents Round Two of the AKA Exhibition. 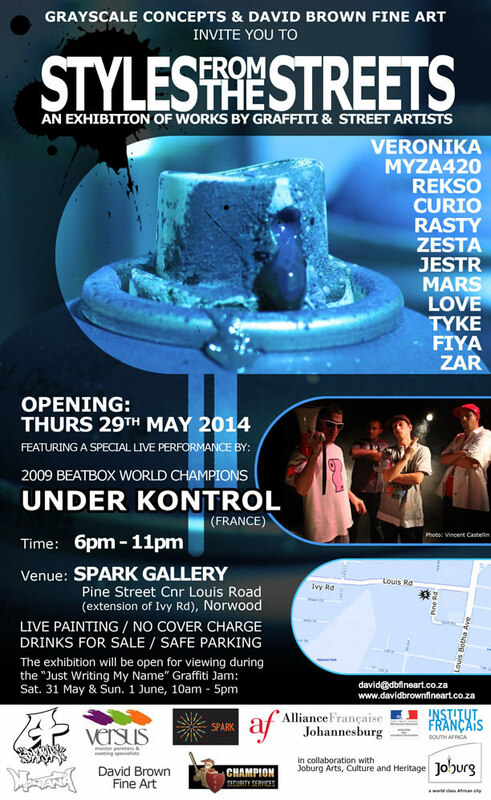 Please join us for a drink at Two By Two Art Studio in Newtown on Thursday 27 March 2014, from 6pm. 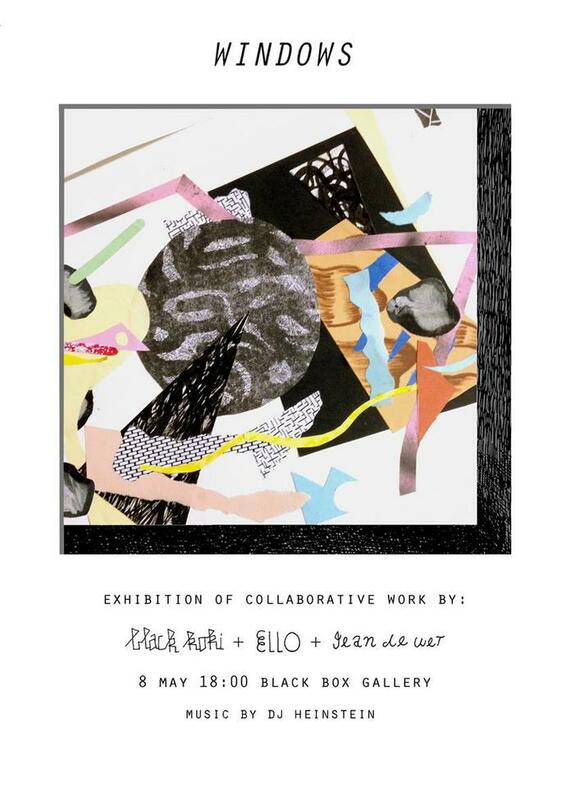 The artworks will be on display for one month. The exhibition is open to all and there is no cover charge. 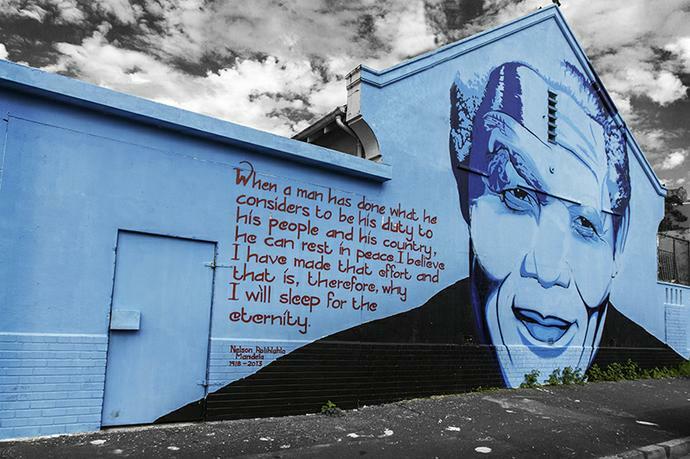 There will be a 90 minute tour arranged on the evening to view the Newtown graffiti art, created by many of the contributing artists. Booking is limited and the cost is R110 per person for the tour which begins at 5:30pm. 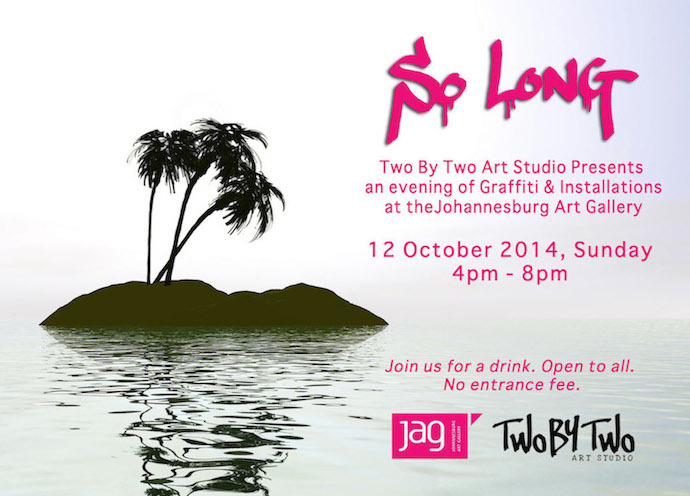 Find out more about Two By Two Art Studio HERE. 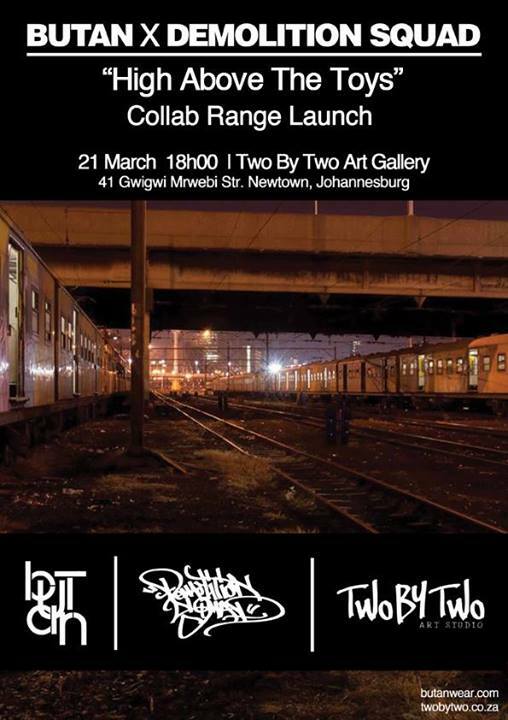 Two By Two Art Studio in Newtown, Johannesburg is a diverse space with a whole lot of exciting events coming up in the next few weeks. 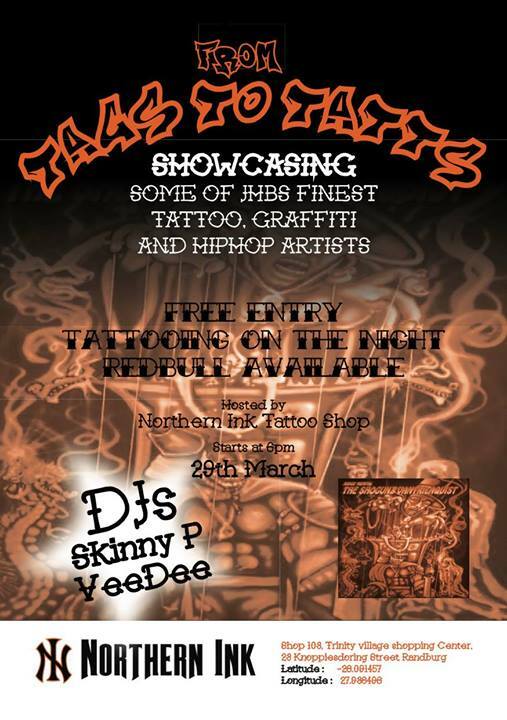 This Friday, they host the launch of the new clothing range by SA Hip Hop brand Butan Wear in collaboration with graffiti crew Demolition Squad, followed by the second installment of the graffiti and street art group show, AKA. Then, in April, two young illustrators, Rayaan Cassiem (Cape Town) and Nic Hooper (Johannesburg), join forces for their exhibition, Media Monster. Two By Two Art Studio is a multi-functional project space. We use it as a base to work from, but also host monthly exhibition openings and various events. The gallery is a labour of love. We use it to show the kind of art we would like to see. Coming out of art school in 2006, there weren’t really many places for young artists to exhibit. Instead of fighting over the same piece of pie we decided to make our own. Where does the name Two By Two come from? Tanner opened an arts supplies shop in Linden, just over 3 years ago. He used the name Two By Two as a personal tribute to his father, who initiated the idea many years ago. The art shop was Tanner’s creative interpretation of this. 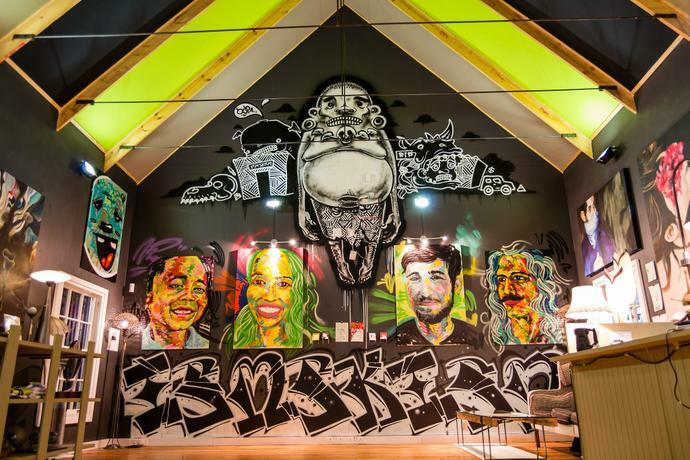 The exhibitions are mostly graffiti and street art influenced, although the gallery space has been used for performance installations and fine art exhibitions too. 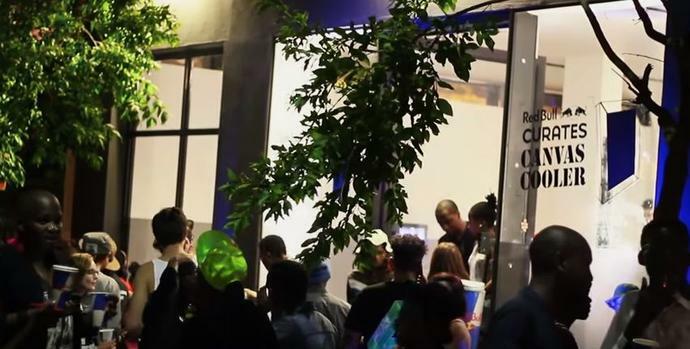 After hosting a few graffiti art exhibits, including the first AKA group show and Mars’ solo show, what do you think about graffiti stepping out of the streets and into a white wall gallery? We don’t see graffiti stepping off the streets and into a white-walled gallery. 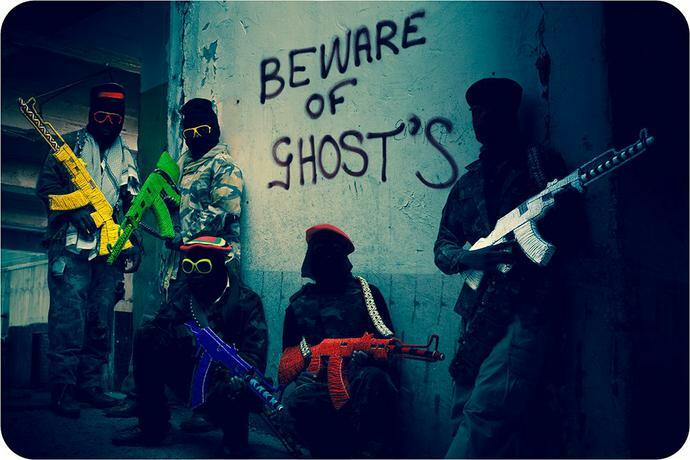 Graffiti belongs on the streets. We are showing the artists that are involved in making that art. They are the ones who are tackling those issues for themselves. For each artist it’s a personal transition, for example Mars was very careful in how he chose to show himself as a studio artist. 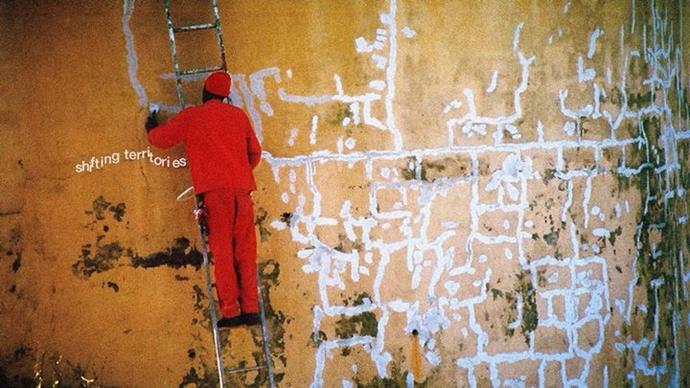 The process was very different for him, as it would be for anyone used to painting walls. As soon as the scale and format changes, the image is influenced and it becomes an object in its own right regardless of its origin. There’s a lot of positive growth and opportunities in the arts if you’re willing to make it happen. Being able to survive off our talents and skills is a big thing for artists and while it’s tough territory, it is still possible. We live in interesting times and we look forward to seeing people being more creative for the sake of creativity. The local art community is small but not completely saturated. As far as we see it, there’s still lots of room to grow. We have Back To The City festival happening on 27 April, Freedom Day. The annual graffiti competition takes place around the Newtown highway pillars. We’re really excited about seeing what people come up with this year. There are plenty of upcoming exhibitions after that. The best place to keep up with current events is on the Facebook page. Germany and South Africa cross paths as Dee One from Bremen and Roger Williams from Cape Town collaborate in a cross-media exhibition of their work. 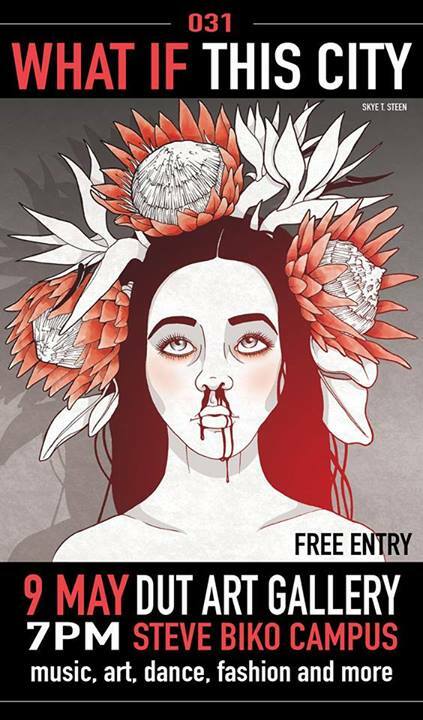 The two artists meet for the first time in Cape Town as they present their work at the Black Box Gallery, followed by the official VIP dinner and after-event at True Italic art cafe, with performances by DJ Azuhl, DJ Phax Mulder and VJ State of the Art. 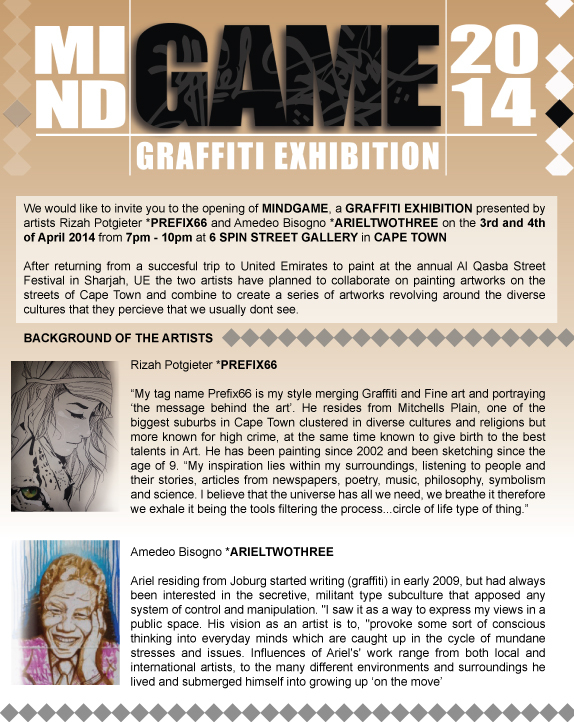 Opening night is on 3 April 2014 at the Black Box Gallery, 52 Church Street, Cape Town, at 17:30. CROSSROAD EXHIBITION CAPE TOWN 2014 from RogKreativ on Vimeo. 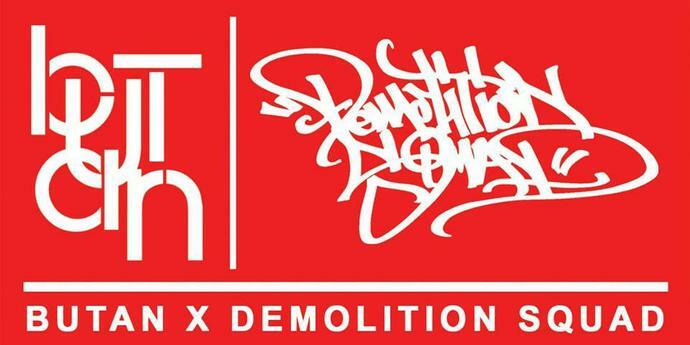 The launch of the latest range of clothing by Butan Wear SA in collaboration with the Demolition Squad. Limited edition clothing including caps and T-shirts will be on sale on the evening. Get yours before they hit the shops.